CNN shot to fame for its vivid video coverage of the American Cruise missiles slamming into the Iraqi Defense Ministry on the first day of the first gulf war. 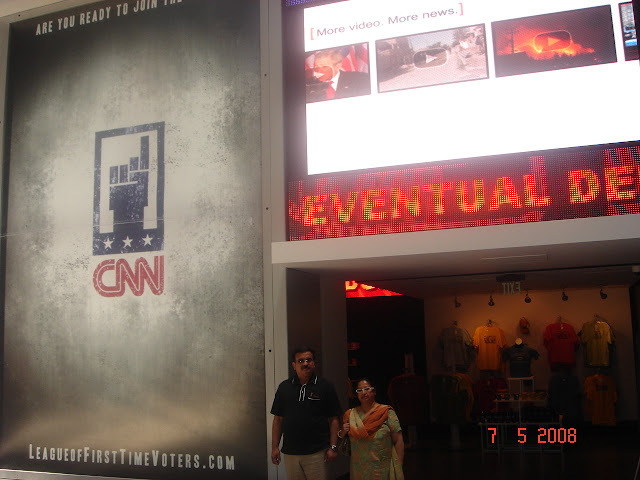 A visit to Atlanta is incomplete without a visit to the headquarters of CNN. It is a huge and complex affair and despite best efforts could not understand more than 20% of how a global news network of that scale operates. During the conducted tour of the facility spread over several floors, we happened to see a person pointing to various parts of a blank screen. On enquiring we were told that weather reports are filmed on blank screens and the voice and map are overlaid separately and later while broadcasting. The vehicle shown above is one of those which was used to cover the Desert War live, and it was such vehicles which had payed a major role in the CNN coverage of the war. The crews manning these vehicles must have been exceptionally courageous and professional to undertake those missions and bring the live coverage to viewers all over the world. 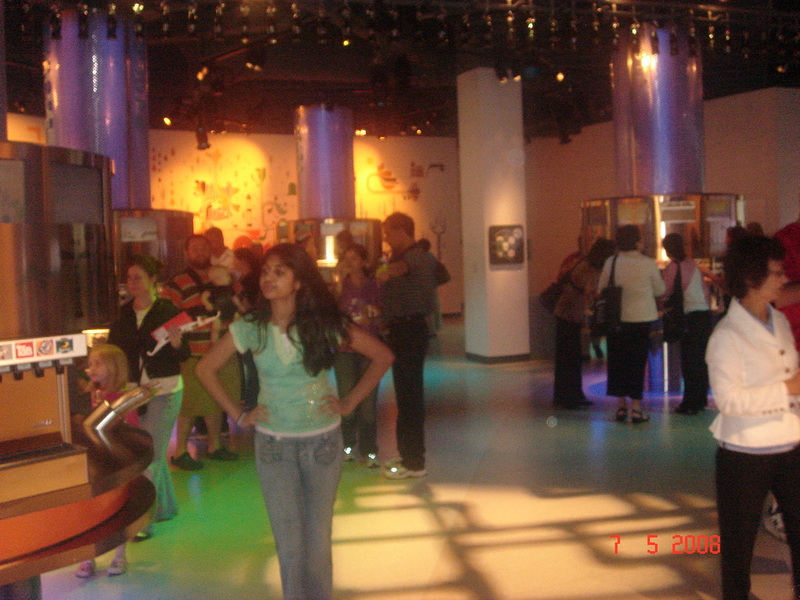 The whole place was extremely lively and full of people some who were visitors like us and others who probably were there on business. In the lobby was a coffee shop serving excellent snacks and fresh hot coffee. We purchased a few momentos from the CNN shop and left the building. 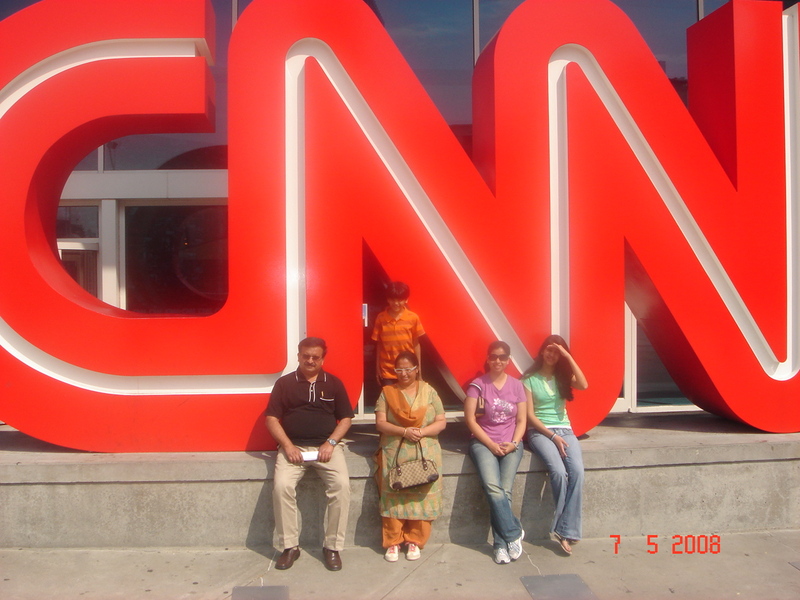 CNN Head Quarters can be visited by paying a few dollars and this has made Atlanta one of the top destinations in the USA among the many places to travel. Across a park outside the CNN Building is the headquarters of a company which gives employment to millions of people across several continents and countries in marketing, and retailing, spends millions of Dollars on advertising , gives employments to people on sugar cane fields and sugar factories and many more. The Coca Cola Company. In 1886 Dr John Pemberton , whose statue stands just outside the Coca Cola Building, produced the cough syrup , which was sold as a soda fountain drink. Like all inventors, little did he realise the potential of his invention and sold the company in 1888 just before his death. The people who bought the secret formula, as we all know today , proceeded to convert it into one of the most successful marketing stories of mankind. Shown here are the different kinds of bottles/labels used by coke in different countries and markets all over the world. Some of them are no where near to what we know as Coca Cola bottle. The shapes, color schemes, size of the bottles are chosen keeping in mind the local tastes, preferences and the competetion (whatever there is) . This is the Coke Tasting room where by paying a few dollars you can have a go at more than 150 flavours of drinks sold under Coca Cola brand in various countries. There is no limit other than the capacity of your stomach. One drink tasted like soap water and another like Dettol and yet another like Kerosene, but all the drinks were extremely popular drinks in their own countries/regions. When we visited ,Coke Zero was just being launched and was available only by paying extra. I could not make out any difference between zero and diet coke . This is the Coca Cola Company mission statement and speaks for itself. 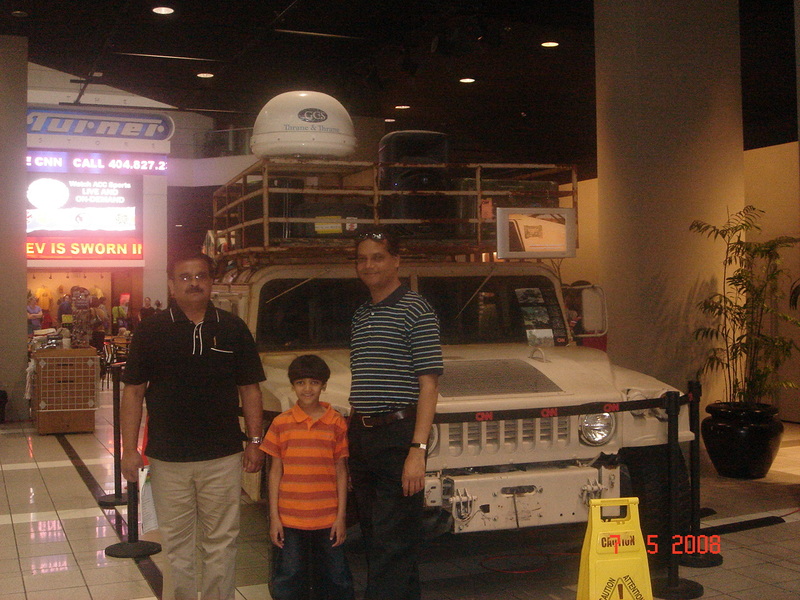 This is outside the Cocoa Cola Movie theatre where we were shown a promotional movie . The movie was 4D or 5D . By wearing 3D glasses we could see the movie in 3D. However the Chair on which we were seated also moved with high acceleration giving a feeling of moving at high speeds. In addition there were small holes in the chair from which compressed air was let out in a programmed manner. For example , a bird came and sat on your shoulder in 3D. A puff of air on the shoulder gave the feeling that the bird was actually sitting on the shoulder. When it flew off, a blast of air from the back of the front seat created reality. When mice moved between your feet, puffs of air on the socks felt like the mice were actually brushing against your legs. For the weak hearted there were separate chairs without the 4th and 5th Ds. 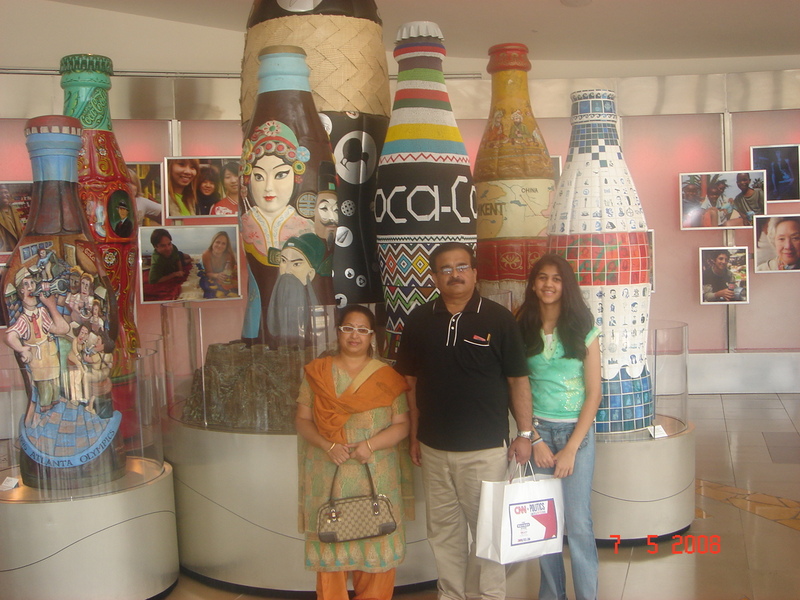 The Coca Cola Company and CNN headquarters have made Atlanta an extremely popular tourist place in the US. I think the original concoction had cocaine as an ingredient. Hence the name Cocoa Cola. Maybe that was why it was not on offer at the time of our visit. Excellent decision. It will be great fun. However even the most determined fans of coke are not able to go beyond half a century-50 flavors.